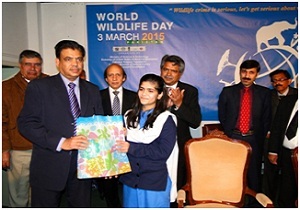 The wild animals are essential to our foundation, to our very existence as they keep our world alive and their protection is imperative for us, said Chairman Pakistan Science Foundation (PSF), Prof. Dr. Muhammad Ashraf while addressing the inaugural ceremony ofWorld Wildlife Day celebration at Pakistan Museum of Natural History (PMNH), Garden Avenue, Shakarparian, Islamabadon March 3, 2015. PMNH in collaboration with Ministry of Science and Technology, PSF, US Embassy, Snow Leopard Foundation and Key Foundation, arranged different activities to celebrate the World Wildlife Day to raise awareness among masses about the benefits that conservation provides to people. A large number of students, their teachers and scientists from different organizations attended the celebrations. Dr. Muhammad Ashraf, the Chief Guest of the ceremony, said a slight change creates large effect on the wholeecosystem as there is interactive effect of different living things. “If is the ecosystem is balanced and sustained, our life is sustained,” he added. He appreciated PMNH team for organizing such an important event to sensitize people on illegal wildlife trade and conservation. 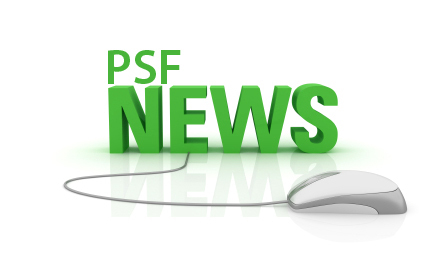 The PSF new Chairman hoped that recommendations devised by participants of the symposium would be sent to government and quarters concerned for implementation otherwise it would be a fruitless effort. Dr. Muhammad Ashraf said promotion of science is key to success. Making mention to National Science Foundation of United States achievements, the Chairman said we are far behind our set targets and we have to make vigorous efforts in this regard. Mr. Ashiq Ahmed Khan, Senior Advisor, Snow Leopard Foundation, in his keynote address said serious crime is being committed against wildlife even by many developed countries having high living standards. He said Pakistan is doing some good and some bad things regarding wildlife conservation. He made mention to pictures shared on facebook by some people standing proudly beside hunted animals which are embarrassing Pakistan. He appreciated Pakistan efforts for conservation of Ibex, Indus dolphin and Ziarat Juniper Forest.He expressed his gratitude to the US Embassy for support to organize this important event. Syed MahmoodNasir, IG Forest, Ministry of Climate Change, in his remarks on recent wildlife incidences, said the stories of famous hunter Jim Corbett tell us that about 100 years ago Indo-Pak forests were full of wild animals like lions and tigers but their number has been reduced to a few due to illegal trade of wildlife. He said animals and plants are essential part of the ecosystems and they help eliminate many diseases. He said the students have an important role to play in halting illegal trade of wildlife. Earlier, Dr. Muhammad Rafiq, Deputy Director General, PMNH, talking about importance of the day, said World Wildlife Day is celebrated to sensitize world community on illegal wildlife trade, trafficking and efforts for conservation. He highlighted some of the dangers to wildlife such as deforestation, poaching and hunting etc. He said it is duty of all of us to make collaborative efforts against illegal trade of wildlife and we should totally reject it. Students presented a tableau on wildlife hunting. A speech competition among students was held and prizes and certificates were awarded to winners. A documentary was also screened to highlight different aspects of wildlife trade. A symposium covering important topics such as Illegal Trade and Trafficking of Wild Fauna and Flora; Wildlife Issues, Crimes, Illegal Trade and Trafficking of Carnivores and other Mammalian Fauna of Pakistan; Illegal Trade of Birds, Reptiles and Amphibians of Pakistan; Illegal Trade and Threats to the existence of Paleo Fauna and Flora of Pakistan as well as a Group Discussion and Recommendations for controlling the illegal trade of flora and fauna of Pakistan, was also part of the Wildlife Day celebrations.